When watching your favorite movie or scanning through photos, you want colors that pop – and that is exactly what the Lenovo Tab 4 10 gives you. The brilliant HD display reveals cool blues, deep purples and vibrant reds housed in a 10.1-inch screen with a 1280x800 resolution, so photos and videos come alive. You don’t need to use your Bluetooth speaker when using the Lenovo TB-X304. Its built-in front-facing speakers are powered by Dolby Atmos and delivers a theatre-like performance with strong bass and rich tones. Positioned to provide an immersive and cinematic feel when watching movies, the internal audio system will change how you view your favorite shows on Hulu, Netflix and Amazon in a handheld device. A cord-cutter’s dream gadget, the Lenovo Tab 4 10 is less than 1 cm thick and weighs just over 200 grams. It is an ideal alternative for people wanting to take a break from their smartphones and laptops because it is powerful enough with Snapdragon 425 processor yet light enough to make presentations on the go. The svelte design of this 2GB RAM Tablet makes it easy to handle by children and adults alike. Tablets are mostly shared between family members, and Lenovo designed the Lenovo Tab 4 10 with this necessity in mind. 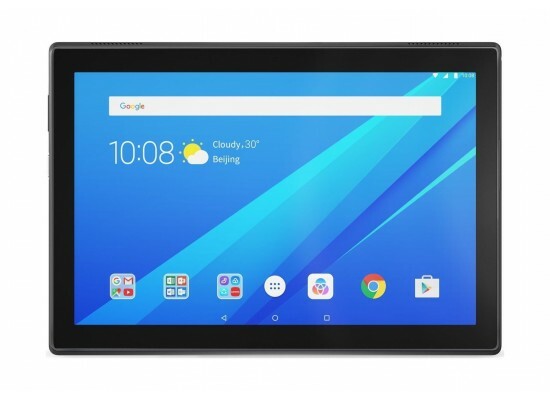 This 4G LTE Android tablet is a versatile tool for all members of the family with its personalized user settings. Each member of the family can have their own individual accounts with unique passwords. Accounts are personalized with preferred settings and can be connected to each individuals separate social media accounts. Made for families with children, this Samsung tablet lets parents share their device to their kids with no worries. A screen filter protects sensitive eyes while the device can be fitted with a shock-resistant bumper and decorated with fun stickers. In addition, the family-friendly tablet features sites that are hand-picked by KIDOZ, an online platform that helps children find fun, entertaining and informative website content. The Lenovo TB-X304 easily transforms from being a convenient handheld device to a powerful productivity tool the next. By having a task bar that makes it easy to navigate between apps, the company’s productivity interface is designed to convert the tab into a make-shift device for work. For an even better multitasking experience, you can choose to buy the add-on Bluetooth keyboard that also doubles as a case and stand for the device.